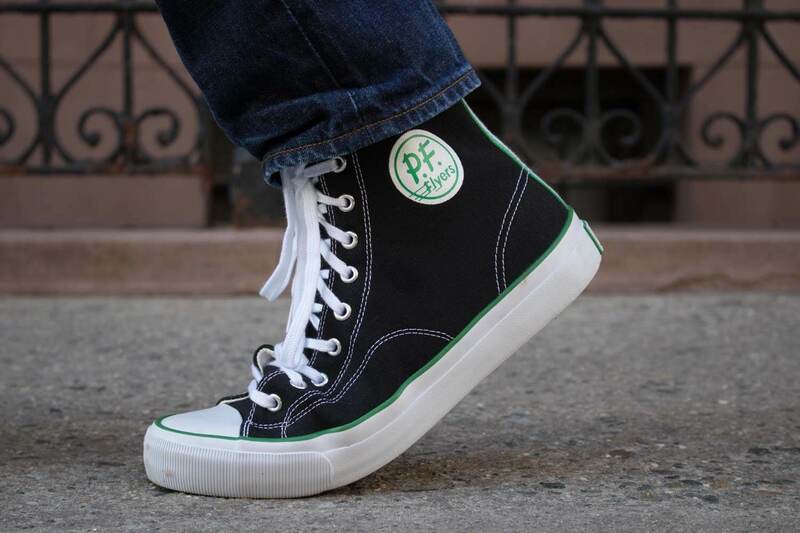 When you think back on brands that are the very fabric of American culture there are only a few that really make the cut – among them is P.F. Flyers. 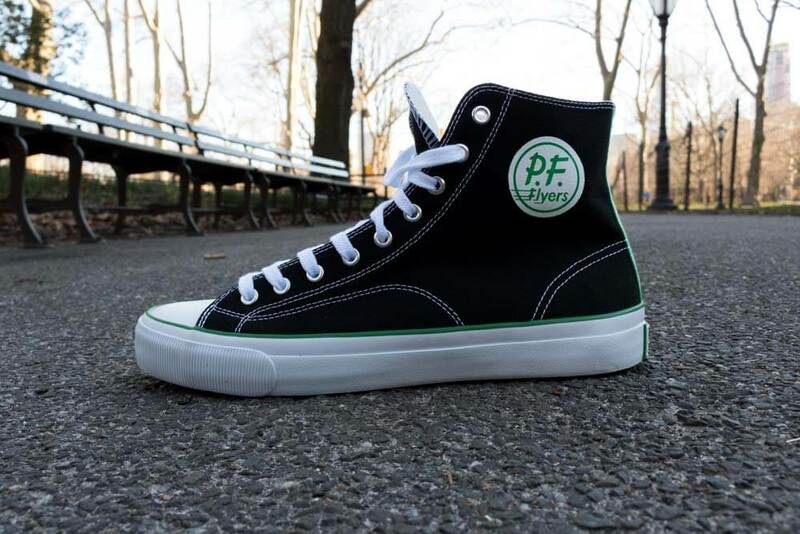 While many men may remember this brand from the days when you went to your friend’s house and watched The Sandlot on VHS for the hundredth time, the P.F. 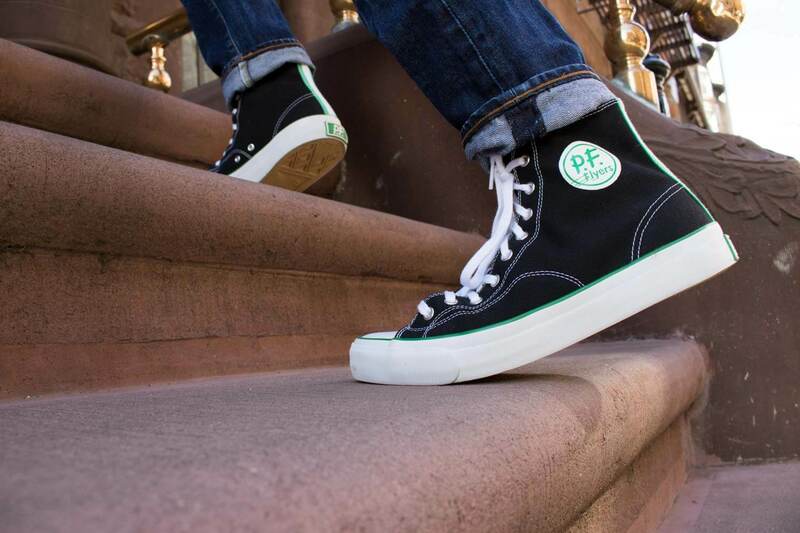 Flyers brand lives on by making an excellent quality shoe. If you are wondering what the P.F. stands for, you are not alone. P.F. 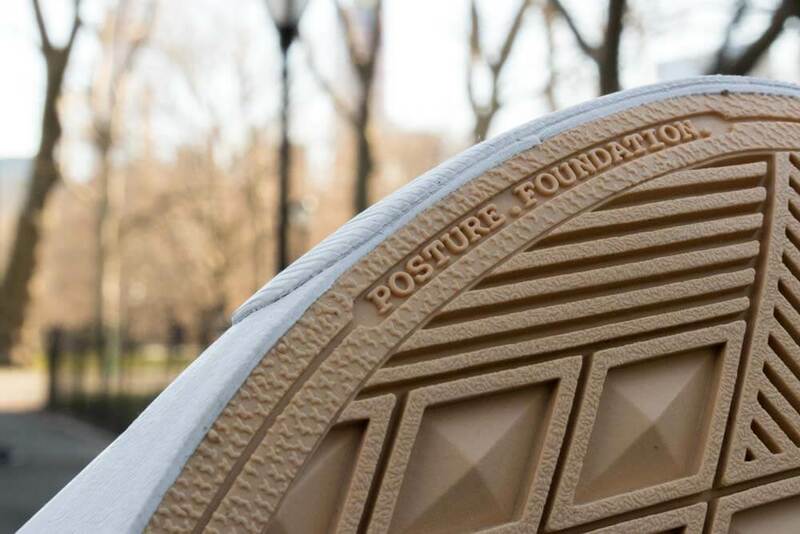 is an abbreviation of the original patent by B.F. Goodrich for the Posture Foundation insoles back in 1933. Just a few short years after that patent, B.F. Goodrich later shortened it to simply P.F. and housed many different footwear lines under this brand (source). What’s cool is that even after 84 years, P.F. Flyers of today still cherishes its roots as evident throughout the construction of their shoes. 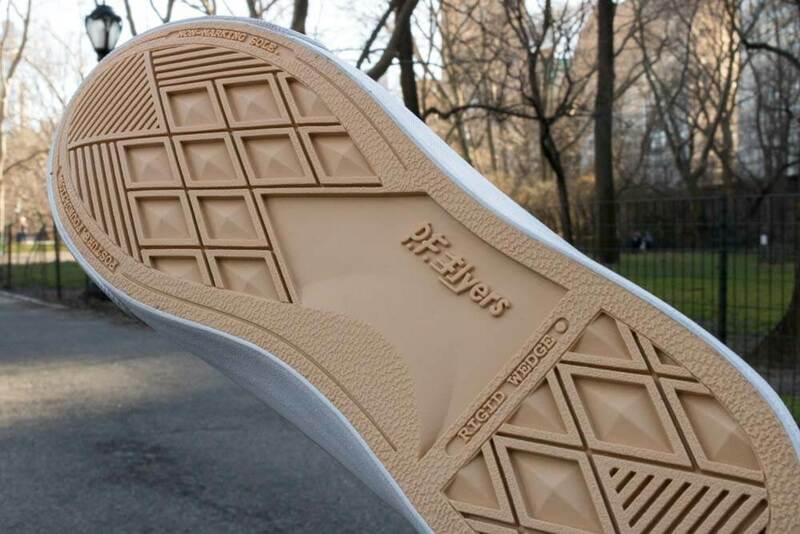 The insoles on these All American Hi’s have me quickly thinking about throwing out my old pair of Onitsuka Tigers. Back in in 2001 New Balance purchased P.F. Flyers. 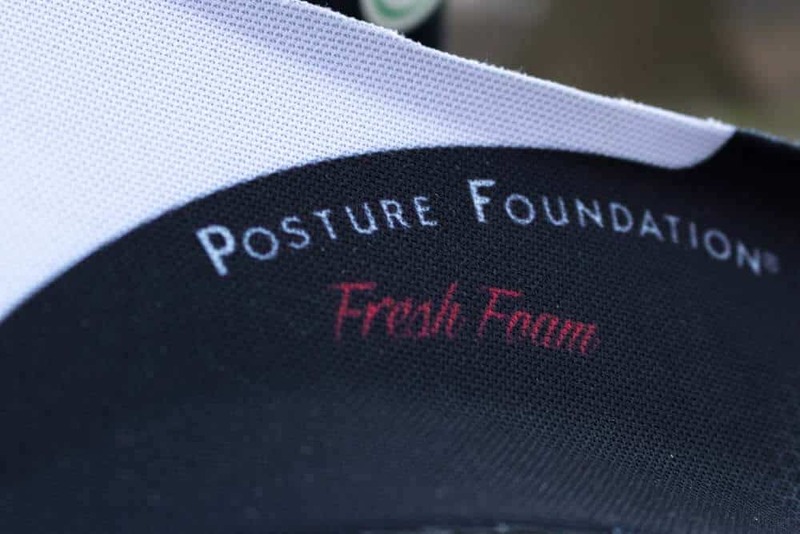 Together, the teams from both of these comfort brands worked to completely reconstruct the classic ‘Magic Wedge’ insert by incorporating the New Balance ‘Fresh Foam’. 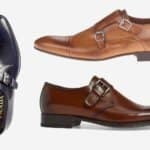 When walking the streets of NYC tirelessly, I never once felt that these shoes were uncomfortable or taxing which spoke to the quality and comfort of the insoles. 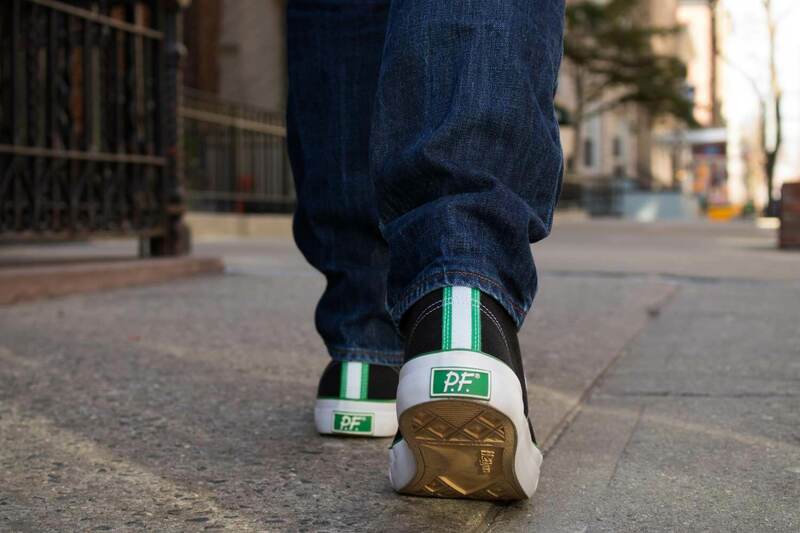 Beyond just the insoles of these incredibly comfortable shoes, the P.F. Flyer All American Hi’s have ample room for your toes. I don’t consider myself to have terribly wide feet, but do find that more narrow shoes tend to be a bit tight at the front of my foot. When slipping the All American Hi’s on for the first time and fully lacing them up, it was great having just an extra bit of room on the width which immediately put a smile on my face. 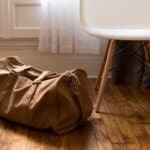 All the comfort in the world won’t mean anything if the exterior is poorly constructed. 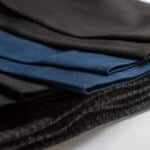 Overall the All American Hi’s can make the perfect addition to any man’s wardrobe. If you are looking for a pair of shoes for everyday wear or for the weekend, these All American Hi’s are definitely worth considering. The attention to detail on the exterior of the shoe coupled with the incredibly comfortable insoles should withstand the test of time.